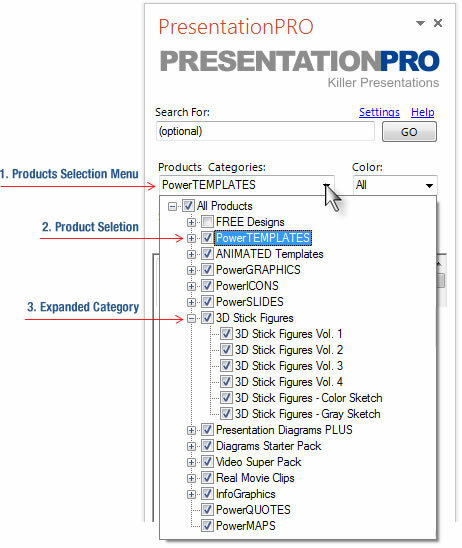 Click the arrow to drop down the product category menu. Select the category to include in your search by checking the box next to the category. Click the + to expand the product category. Narrow your search by selection only the product you want to search.